Happy Brother's Day - You are not only my brother but also my best friend. Thank you for being my best supporter. I love you, brother. Though childhood pictures show a group of well-behaved, calm young men, you know that you and your brothers were more crazy than refined. 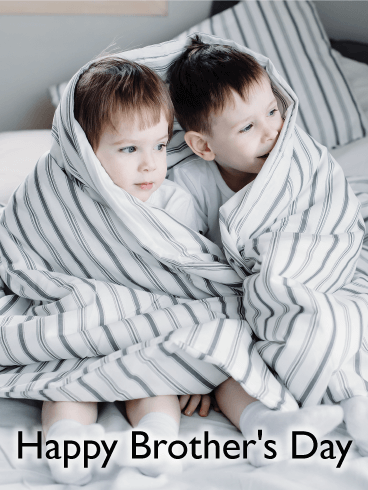 On Brother's Day, you have the opportunity to remind your brothers of the fun and rambunctious adventures you had together. 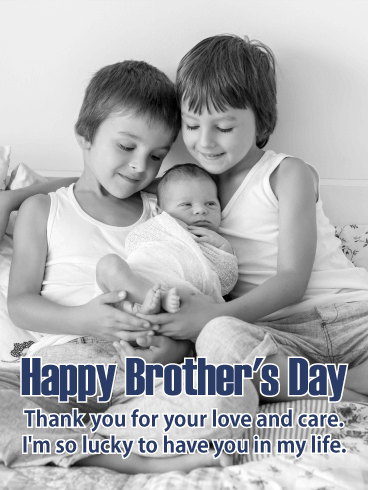 With this Happy Brother's Day card, show your brothers how much you treasure the relationships you have together. Your brother is your best friend, your biggest supporter, and the greatest person you know. He is the first person you go to when you need help and the first person you think of when you have something to celebrate. 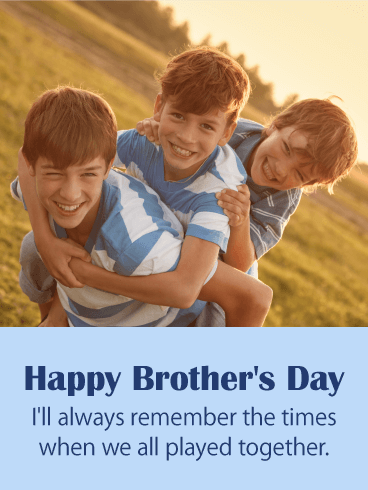 With this Happy Brother's Day card, you can tell your brother how much you love and appreciate him on this special holiday. Growing up, your brothers were either your best friends or your worst enemies. Though you've always loved each other dearly, liking each other was sometimes a harder thing to do. Now that you're older, this Happy Brother's Day card is the best way to show your brothers that you're glad to be their sibling. 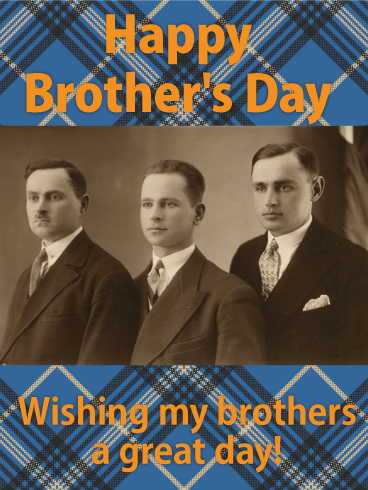 Create wonderful new and happy memories by sending this Happy Brother's Day card today! What is the best way to catch up with your brother? Over a tall and cold beer, of course! 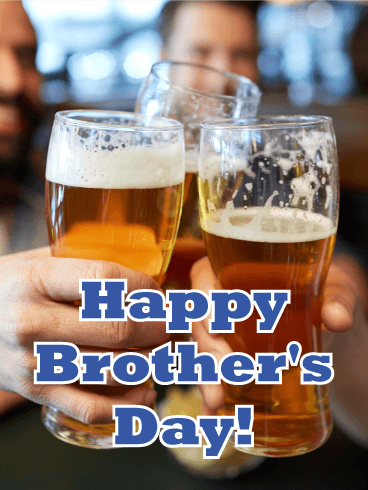 On Brother's Day this year, enjoy a cold one with your best friend and closest ally. Make a toast to the memories you've made, the hardships you've faced, and the love that is strong between you. This Brother's Day card is a celebration of the best parts of your relationship, so send it to him today! The best memories and conversations are made over a few rounds of cold beer. 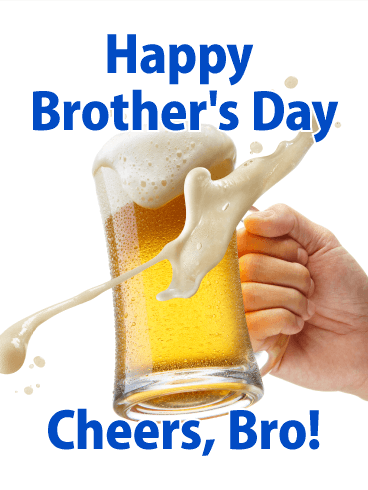 To celebrate Brother's Day this year, use the beers on this Happy Brother's Day card to make a toast to your brother. 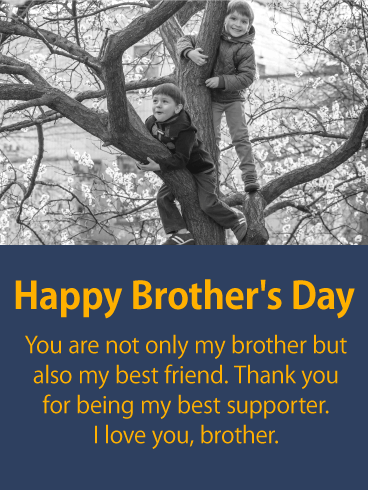 Your brother is the best and most deserving person you know, so send this Happy Brother's Day card to show him how much you admire, appreciate, and love him! Throughout history, brothers have worked together to accomplish great things. From the invention of the first airplane to the creation of Stranger Things, brothers have shown that anything can be accomplished when they work together. 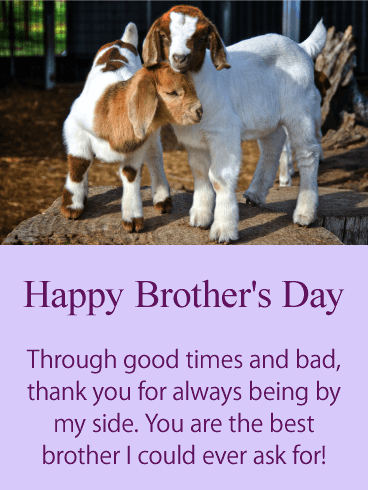 By sending this Happy Brother's Day card, you can inspire your brother and show him how much you can do when you put your minds together and work hard. 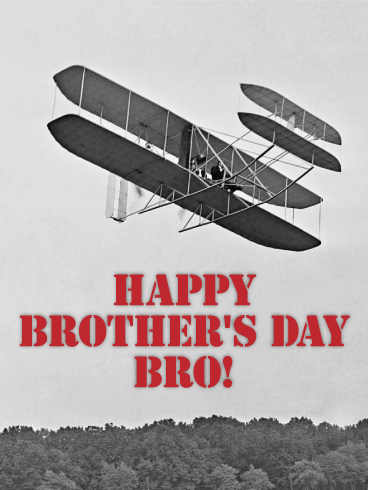 Your brother is the best "kid" you know, so send this Happy Brother's Day card to show him how much you appreciate him! No matter what you and your brother go through in life, you know that you can always count on each other. 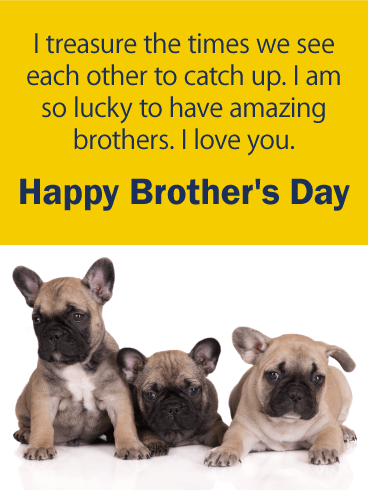 As this holiday approaches, use this adorable Brother's Day card to tell your brother how much you love him.